Two police officers have been arrested on suspicion of murder, six years after they shot a man dead in east London. Insp Neil Sharman and Pc Kevin Fagan were later released on bail by Surrey Police, who investigated the shooting of Harry Stanley in Hackney in 1999. The force said there was new forensic evidence. There have been two inquests and two judicial reviews into the case. The two Met officers said they thought Mr Stanley was carrying a gun - in fact it was a table leg wrapped in a bag. They were also arrested on suspicion of gross negligence, manslaughter and conspiracy to pervert the course of justice and were said to be "very upset". Neither has been charged, and they were bailed to return to a Surrey Police station on 16 June as inquiries continue. In a statement, Daniel Machover, the solicitor for the Stanley family, said: "The family has noted [this] development and is awaiting an early decision on criminal charges. "They are again calling for the officers to be suspended from all duties. The family will be making no further comment." Mr Stanley, a 46-year-old Scot, was shot after police received a tip-off that there was an Irishman with a sawn-off shotgun wrapped in a bag in the area. Both officers opened fire as the painter and decorator walked home from the Alexandra pub in Hackney on 22 September 1999. 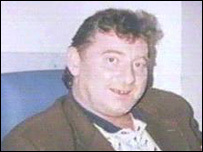 The first inquest in June 2002 returned an open verdict, but this was quashed by the High Court after a campaign by the Stanley family. A second inquest returned a verdict of unlawful killing and the two officers were suspended from duty, sparking an unofficial strike by members of SO19, the Met's firearms unit. 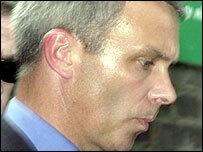 Mr Sharman and Mr Fagan were allowed to return to "non-operational" duties. But the second verdict was overturned by the High Court last month, which ruled there was insufficient evidence to support it. Surrey Police have been reviewing the investigation into Mr Stanley's death, while the Crown Prosecution Service has been reviewing the evidence. A CPS spokesman said: "As part of this process, the reviewing lawyer asked Surrey Police to undertake the forensic examination of some of the evidence. "As a result of this request, new evidence has come to light. "No decision as to whether or not there will be a prosecution has been taken yet." Both the Metropolitan Police and the Metropolitan Police Federation (MPF), which represents rank-and-file officers, have backed the two men. MPF chairman Glen Smyth said he was disgusted at the way they had been treated. For the Met, Assistant Commissioner Steve House said a split-second decision taken by the officers was still being examined nearly six years later. "We understand that we are going to be held to account, that is accepted," he told BBC News. "The anger is simply about how many times are officers to be held to account? "These officers have been through two inquests, there have been two investigations, it's five-and-a-half years on. Somebody must call a halt and say, 'We are going to make a definitive decision here'."